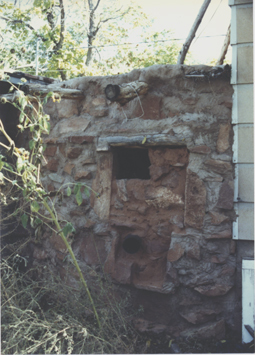 This site will deal with my interests in building in the ways of the ancient people of the Southwest known as Anasazi, the Navajo word for "ancient enemies of our ancestors". The Hopis have their own word for their own ancestors who built these structures, but they were not asked. These are my recreations of the Anasazi buildings. I was first introduced to the cliff dwellings at Mesa Verde at the age of 13 and have wanted to build them since then. I hope these photos will help convey the pleasure I take in creating these forms of art. jimfranklinarts.com is the main site, so click here to go back to it.